Suffern Hook & Ladder Co #1 and the Volunteer Hose Co #1. 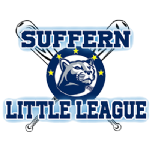 The Suffern Hook and Ladder is located on Lafayette Avenue, directly across the street from Avon’s main parking lot. This facility was originally occupied by the Hook and Ladder in 1980, after being expanded to accommodate the fire trucks and a meeting room. The Suffern Hose Company is located on Washington Avenue, at the intersection of Washington and Cross Street, which was constructed in 1995. The Suffern Fire Department has its primary responsibility to the citizens of the village of Suffern New York. The village of Suffern is 3 square miles with a population of approximately 12,000. The Village borders Mahwah New Jersey, and the Villages of Airmont, Hillburn, and Montebello. The Suffern Fire Department also responds to calls on a mutual aid basis to any department in Rockland County or its close neighbors in Bergen and Orange Counties. How do I join the Suffern Fire Department? Both Companies hold training drills on Monday evenings, starting at 7PM. Members seeking to join the department are strongly encouraged to attend. All prospective members must obtain and file an application to join one of the two companies – Suffern Volunteer Hose Co #1 or Suffern Hook & Ladder Co #1. Ask for the Company President or Captain. What are the primary responsibilities of the Hose Company? At fire and accident scenes, members of the Hose Company are primarily responsible for locating and extinguishing the fire, obtaining a source of water to sustain fire fighting operations, and assisting the Hook & Ladder with their operations, as needed. What are the primary responsibilities of the Hook & Ladder Company? At fire scenes, members of the Hook & Ladder are primarily responsible for forcible entry, search & rescue, ladder operations, ventilation, salvage and overhaul. Assistance will also be given to the Hose Company, on an as needed basis. At accident scenes, this company is responsible for using the Jaws of Life to rescue victims from vehicles. Special Meeting of the Board of Trustees – Tuesday, April 30, 2019 at 7:00 p.m.